Astro-Knights Island is coming this spring! Soaring among the clouds was amazing! The friendly pilot from Nabooti was kind enough to aid me in my search for more Poptropicans to photograph, and we took to the skies. The noisy contraption, called an "airplane", took us swiftly through the air, and for the first time I was silent with awe. My bliss did not last long, however, as the pilot shouted for me to put on a pack containing a "parachute". I didn't hesitate to don this parachute once the flying machine started making sickly sputtering noises while it sped toward the earth. I jumped and pulled the parachute's rope. Landing on the clouds, I came across a purple giant with a golden egg. I found my way to the ground by following directions given to me by the giant, and was overcome with a terrible thirst! "The Soda Pop Shop is the best place on Early Poptropica to find a soda!" 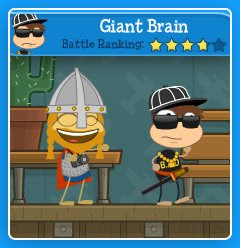 A friendly Poptropican informed me. I was soon sipping a soda and chatting with a talkative fellow named Sleepy Whale. We spoke of the weather and of all things ice cream. It came time for me to go, but before I left I took a photo of my new friend! 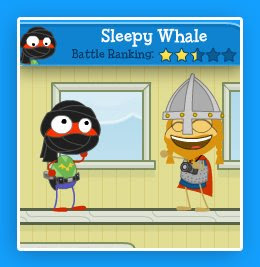 Thanks Sleepy Whale! Remember to keep your eyes peeled, you may be the next one featured on Snapshot Sagas! This looks like a nice place to stay. 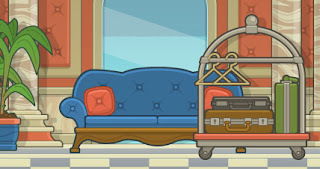 Hopefully the rooms are as nice as the lobby. Click on the image to make it bigger! The storm hit when I was about 5 hours at sea, sailing from Shark Tooth Island. I thought I was done for, and worse, I was sad that my camera's battery ran out when I attempted to take a photo of the huge wave that almost swallowed my small coconut tree raft! After the storm, I drifted for what seemed like ages until I finally fell asleep from exhaustion. When I awoke, I found myself on the shore of a strange and wonderful land. 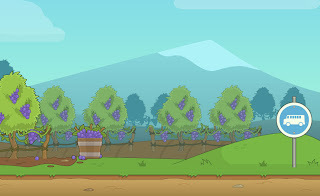 Venturing around, I soon found myself in the Village of Nabooti, where I was able to charge up my camera (luckily it still works) and search for another unique and friendly Poptropican to feature in Snapshot Sagas! In Fly By Night Airlines I ran into Giant Brain. 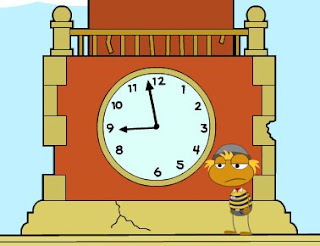 He was a fairly sociable lad, and was kind enough to let me take a photo of him before he hopped off to chat with his other Poptropican friends. Thanks Giant Brain! I am now off to search for more Poptropicans to photograph. You may be the next one featured in Snapshot Sagas! Look both ways before crossing the road on this island! 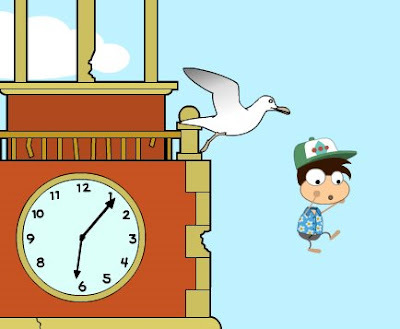 What time is it when a seagull flies over your head? Time to get a new hat! Bwaa ha ha! This is why I prefer bunnies to birds. I, Vlad, having acquired a shiny new camera, will venture across Poptropica in search of fun and unique Poptropicans to feature on this blog. Today I went to the Coconut Cafe on Shark Tooth Island, and was happy to meet Shy Speck! Keep your eyes open, you may be featured next time on Snapshot Sagas! Here are some of the great Poptropicans immortalized in stone. Oh no! I better get to school! If crepes aren't your thing perhaps you'd rather have a nice tall glass of grape juice. 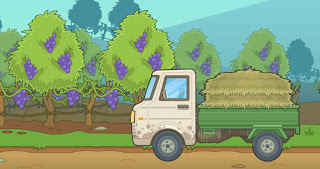 Everyone knows that purple grape juice is a good source of antioxidants. Delicious! 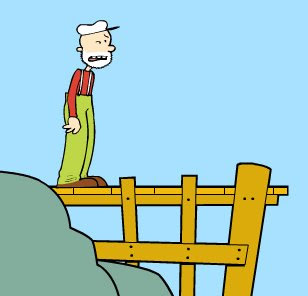 Here's an interesting character you might run into on Big Nate Island! When waffles, pancakes, or eggs just don't hit the spot, try a more foreign taste like crepes. I like mine with strawberries and whipped cream, yum!